Enjoy the best of PCWorld.com in a curated Digital Edition for Android and iOS. Stay on top of the latest tech with PCWorld’s Digital Edition. 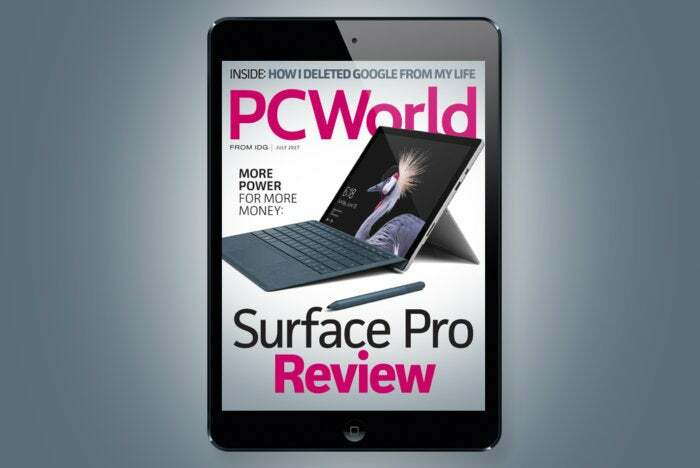 Available as single copies or as a yearlong subscription, it highlights the best content from PCWorld.com—the most important news, the key product reviews, and the most useful features and how-to stories—in a curated Digital Edition for Android and iOS, as well for the desktop and other tablet readers. More power for more money: in July we have a hands-on review of the Microsoft Surface Pro. Find out all about The Essential Phone and why it’s an example of everything that is wrong with Android. Watch: Gigabyte is one of the biggest motherboard makers in the world, and we visited the company's factory in Taiwan to find out how they're manufactured. Humans and machines often work together. Machines that attach teeny transistors have humans managing their supply. Small, wheeled robots deliver components to people on the assembly line. Current subscribers can visit PCWorld.com/directions to learn how to access PCWorld on any device and start reading the June issue right away. We're also excited to announce that we upgraded our system for customer service and downloading issues. A password needs to be created and attached to your account. Go to pcworld.com/customer to create a password for your subscription.